It's never easy to project win totals from year to year because so much can happen during a given season. An ace can go down with a shoulder injury, a promising rookie could prove to be a bust, or a slugger may underperform. Looking at the Phillies right now, it's even more difficult to project a win total as it's not clear if the club will have a bat like Bryce Harper or Manny Machado in the lineup come late March. Last year, the team finished the season with 80-82 but according to MyTopSportsbooks, the 2019 Phillies will be making a modest improvement. Their win total opened at 84.5. The club has made some offseason additions to bolster the roster, acquiring Jean Segura and signing Andrew McCutchen, but every team in the NL East except the Miami Marlins has also went out and improved their team. The 84.5 win total for the Phillies per MyTopSportsbooks is two games lower than the Nats, even with the Mets, and a game better than the Braves. Fangraphs currently projects the Phillies to win just 79 games whereas Caesars Entertainment's sportsbook has the club pegged to win 83. "It's a tight division right now, the Braves are young and the Mets appear to be building with a new front office in place," says Drew Hendricks, a baseball betting expert based in suburban Philadelphia. "I can see the NL East being a dog fight until the final month of the season." When asked about the Phillies' win total, he offered a smirk. "You can find some value right now if you believe Harper or Machado are coming to Philly," he says. "The books have to limit the win totals a bit to hedge their bets, but if you have a good feeling or follow things closely you could capitalize on a nice future bet with the win total." From projections compiled by Fangraphs, it's assumed Harper will finish 2019 with about 5 WAR. The WAR projections are similar for Machado, meaning if the Phillies were to add either superstar it's likely the club would see a 5 win improvement from where it sits today. The 78 win total projected by Fangraphs would jump to 83, which is on the mark with Ceasars' win total and just 1.5 wins off from the 84.5 total from MyTopSportsbooks. "Remember, everything is all about Harper and Machado right now, but the Phillies can add value in other ways," says Hendricks. He's right. 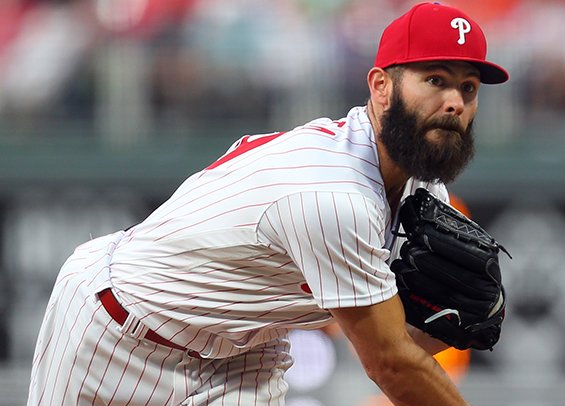 The Phillies have been linked to left-handed starter Dallas Keuchel and reliever Craig Kimbrel and adding either player should see the Phillies' projected win total creep up a bit more. "These are quality guys that can secure a few more victories, so even if the Harper and Machado saga ends without the club getting one or the other, there are other moves the club could make to push beyond 83 or 84 wins." What about the Phillies and the postseason? "That's another story, entirely," Hendricks says with a laugh. "Worry about that in mid-March."